Over the past years the people of Newcastle and the Hunter Valley have shown confidence in their University, and have been singularly generous in depositing archives and manuscripts for permanent preservation and for research use. In recent years, too, public spirited citizens have endowed the University with large amounts of money (from $1.5m up to $5m) to support specific University activities. We wish to thank all our generous benefactors and invite others to join us in realising our dream of creating the greatest regional library in the Southern Hemisphere, to bring together a repository of our region's historical heritage, and of the world's historical treasures including renaissance works, incunabula and illumined manuscripts. 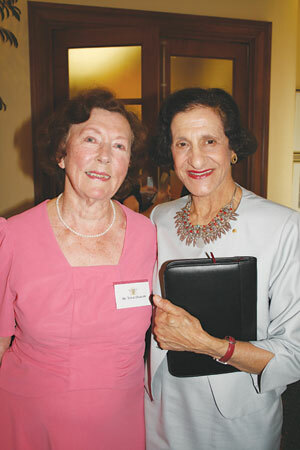 At a ceremony held on the 1st February 2008 at Newcastle Town Hall, Her Excellency Professor Marie Bashir AC CVO Governor of New South Wales officially launched the University Foundation's Vera Deacon Regional History Fund. The purpose of this fund is to support and encourage regional history through the acquisition, preservation and study of valuable regional historical archival resources. The Fund was set up in order to recognise and build on the generous donations provided by Stockton resident, author and historian, Vera Deacon. Please see our Cultural Collections blog and Coal River Working Party blog reports on the Vera Deacon Regional History Fund launch as well as the image gallery in Flickr. To donate to the Vera Deacon Regional History Fund, see our page, How to become a benefactor.